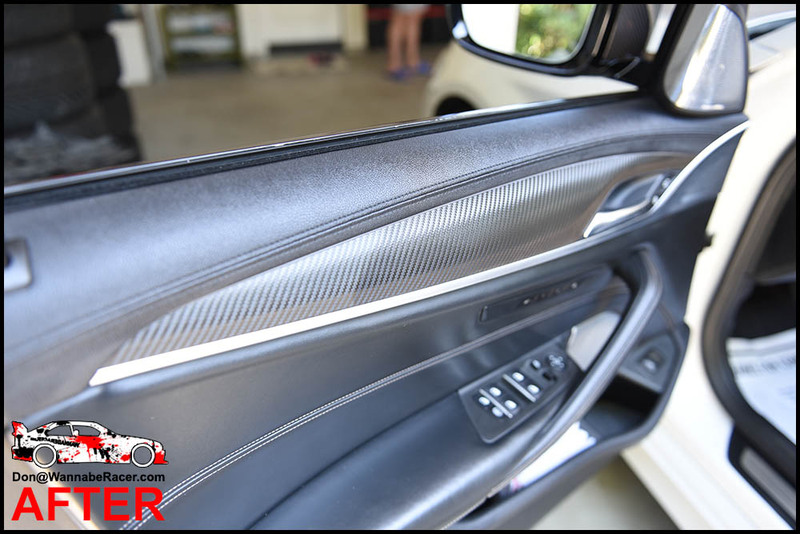 If you are interested in me developing pre cut pieces for your car to make your DIY installations easier, I would need a minimum group of 5-10 people interested in the same pre cut materials. 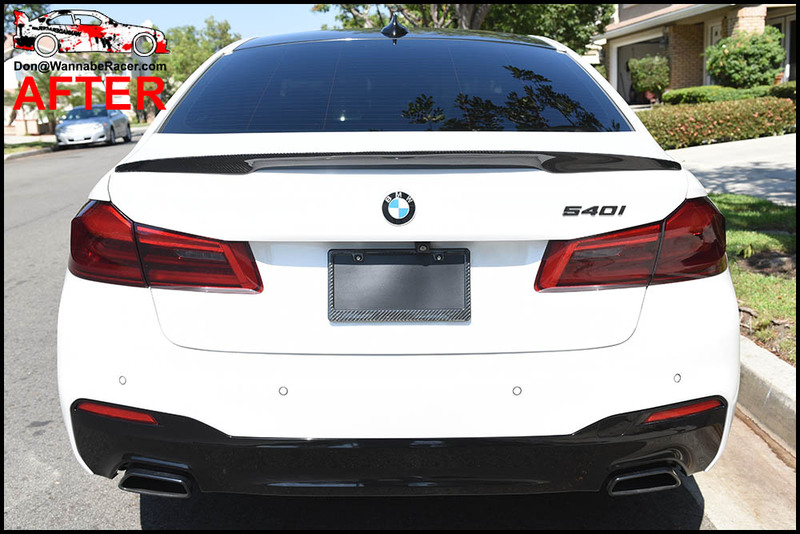 Contact me at [email protected] for more information. 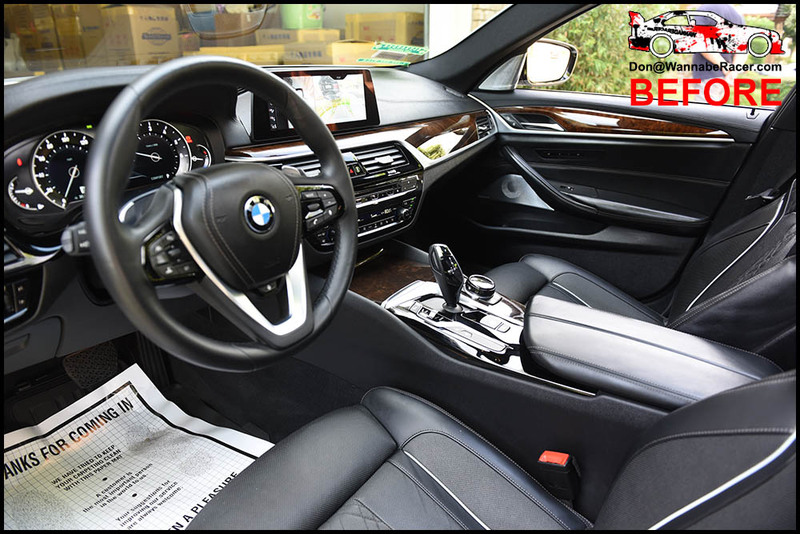 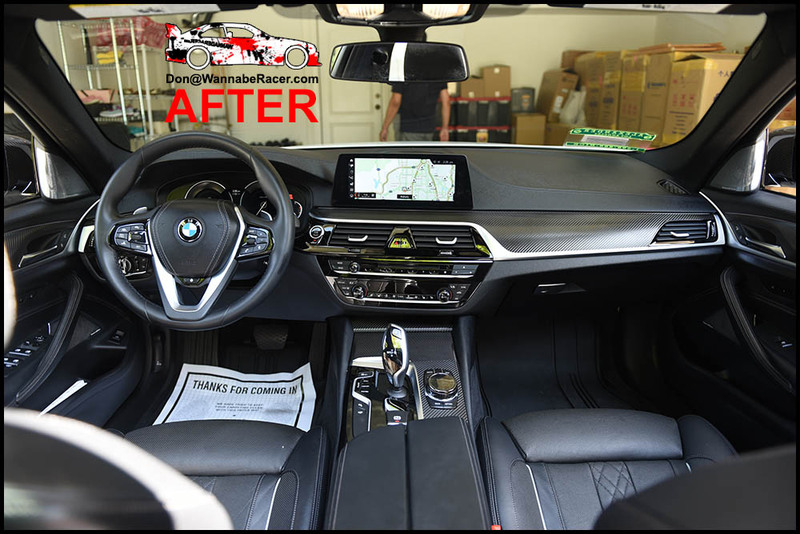 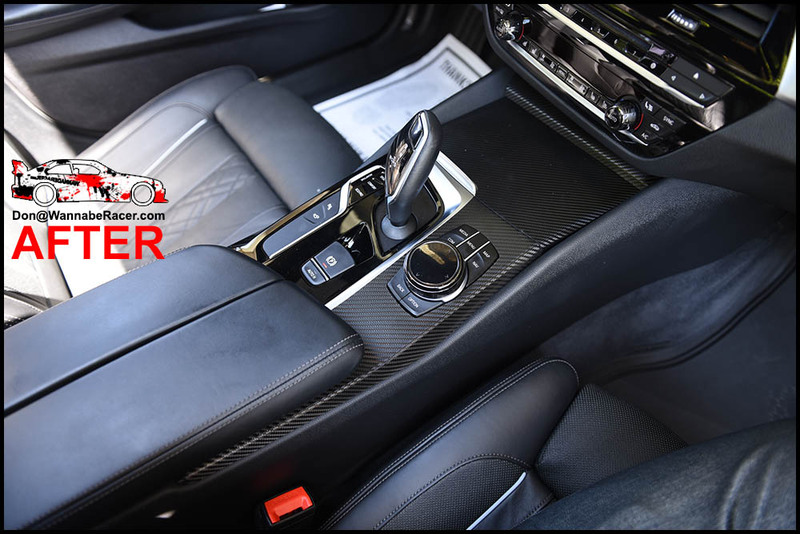 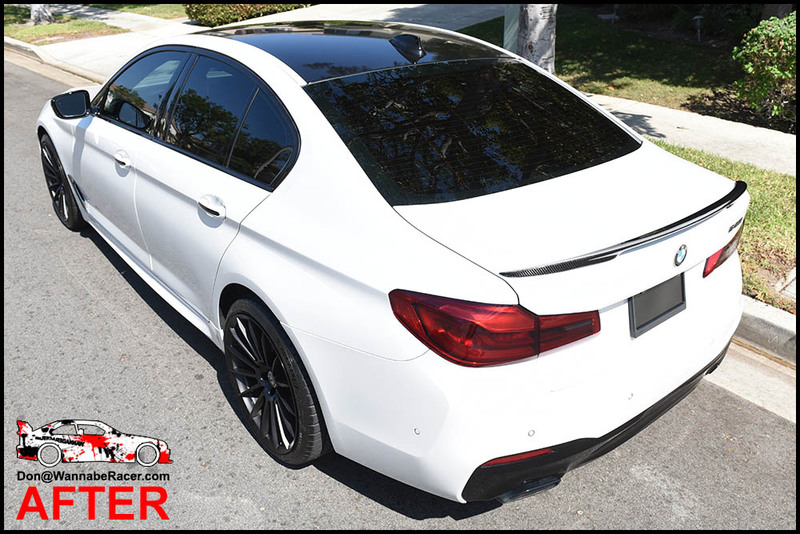 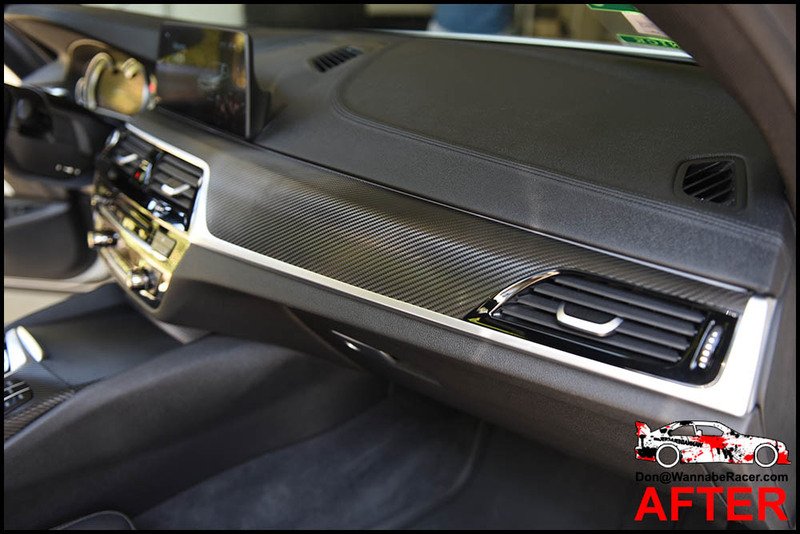 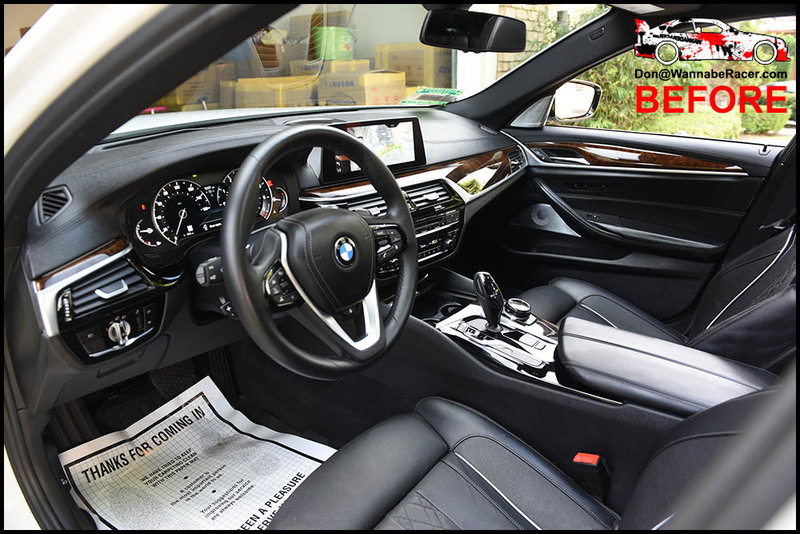 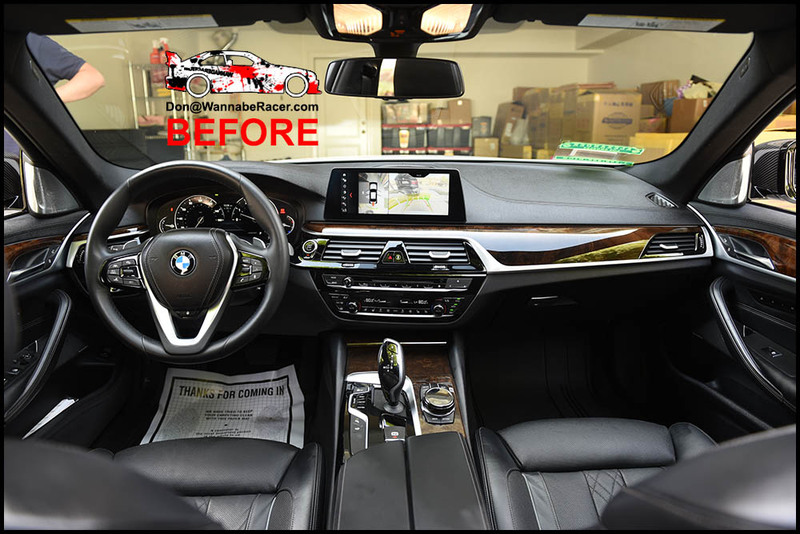 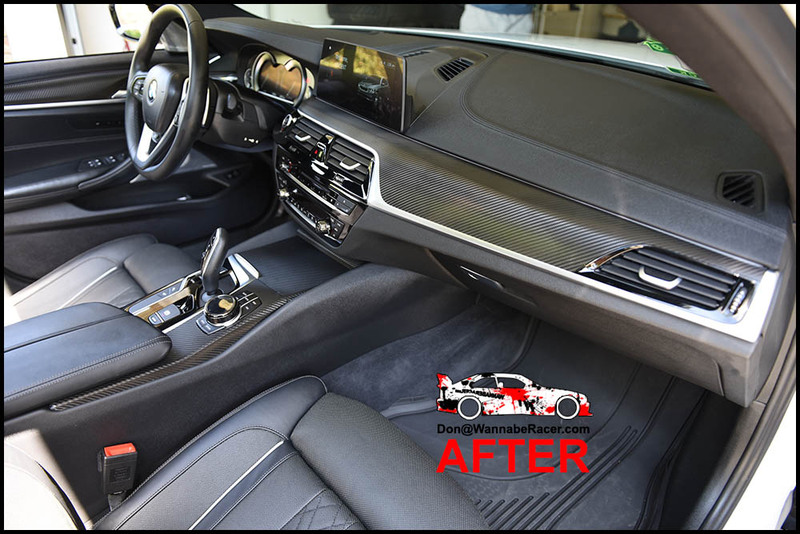 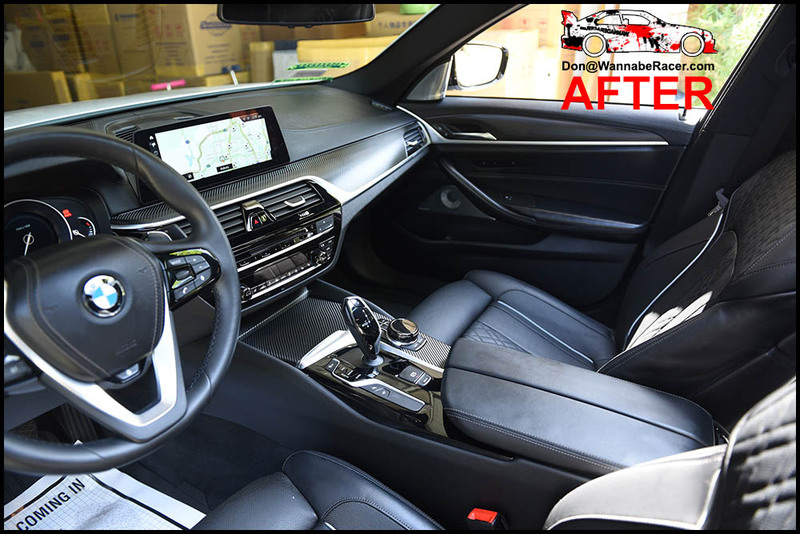 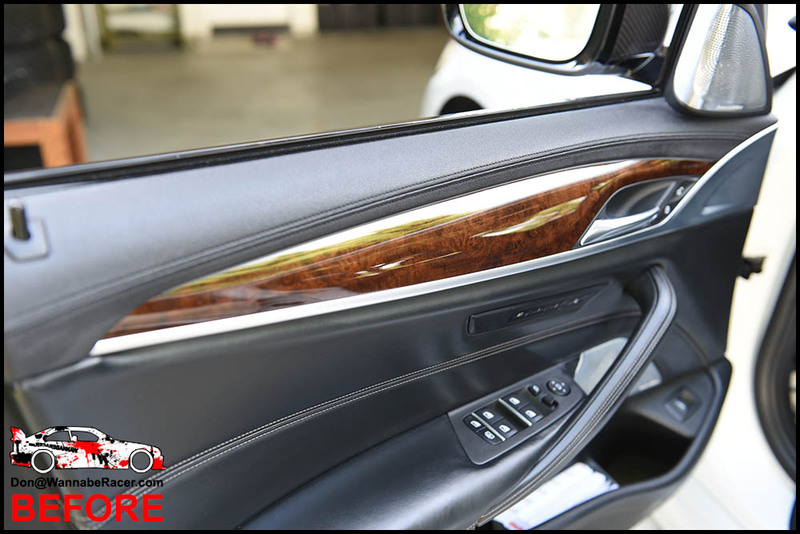 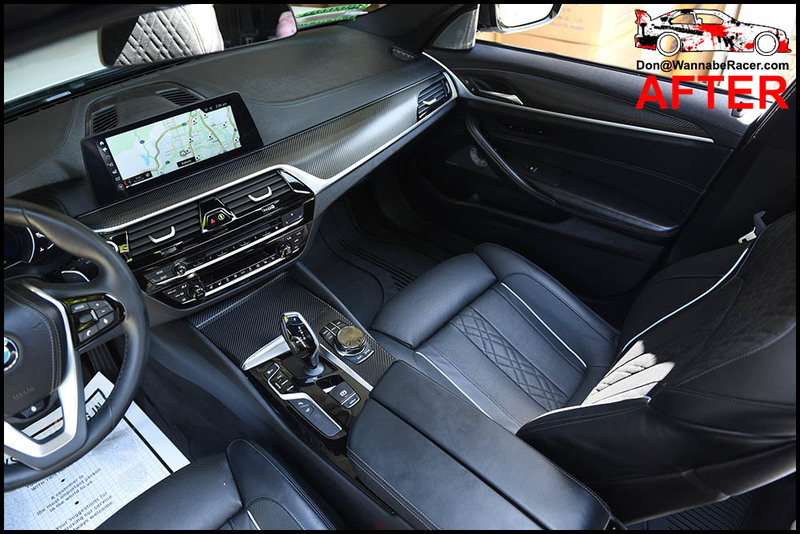 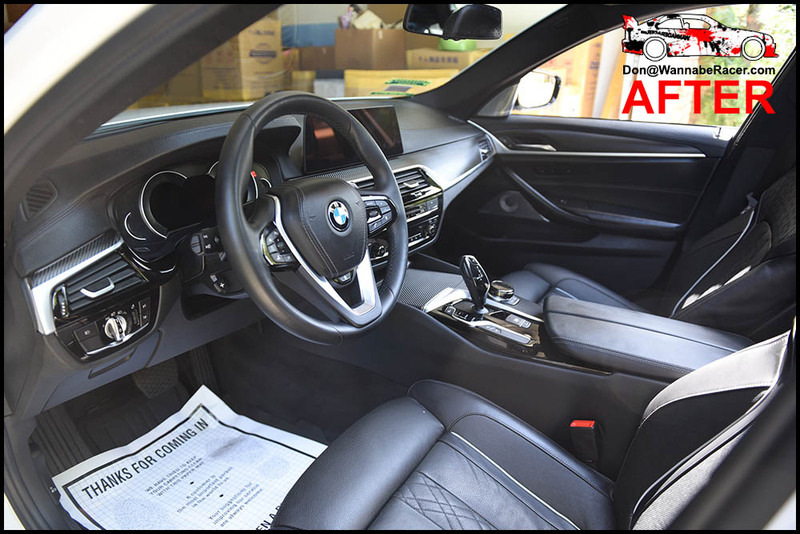 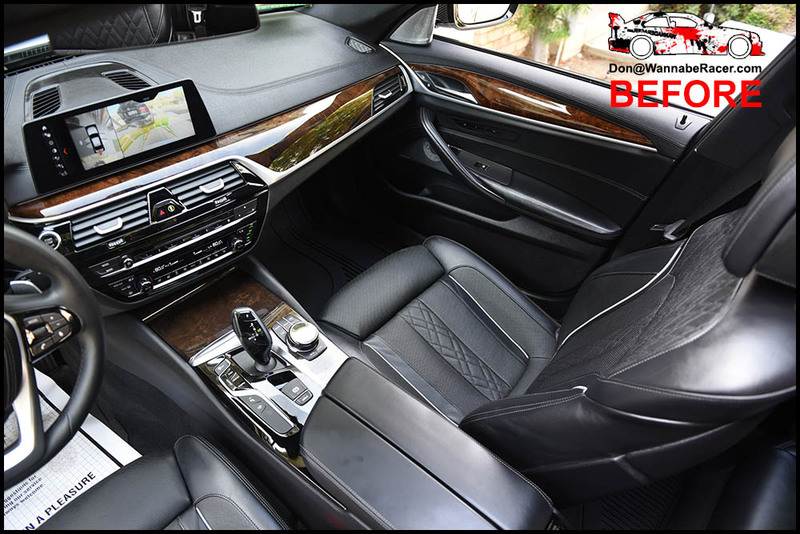 A lot of vinyl work was done on the outside and inside of this white BMW F10 540i sedan, but most of this post will be primarily focused on the wrapping that was done on the interior of the car. 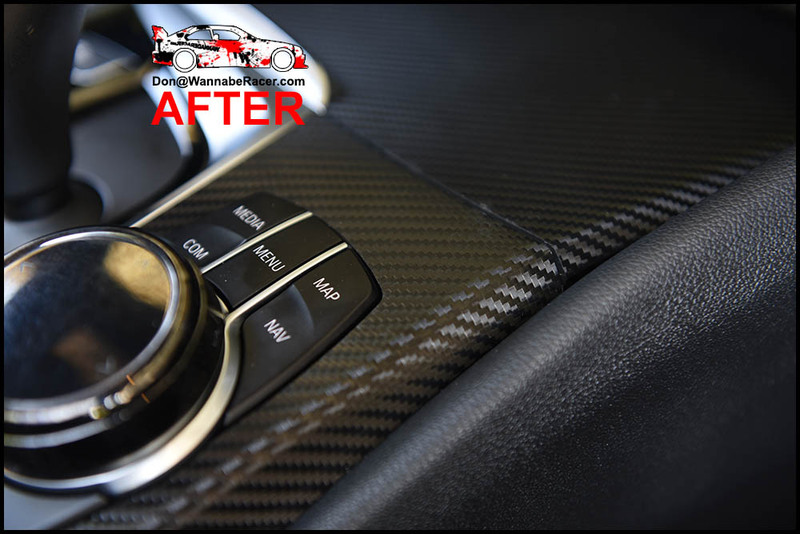 I tried to take pictures in a manner that allowed you to more easily see how the before/after looked like with the carbon fiber wrap done over the factory wood finish. 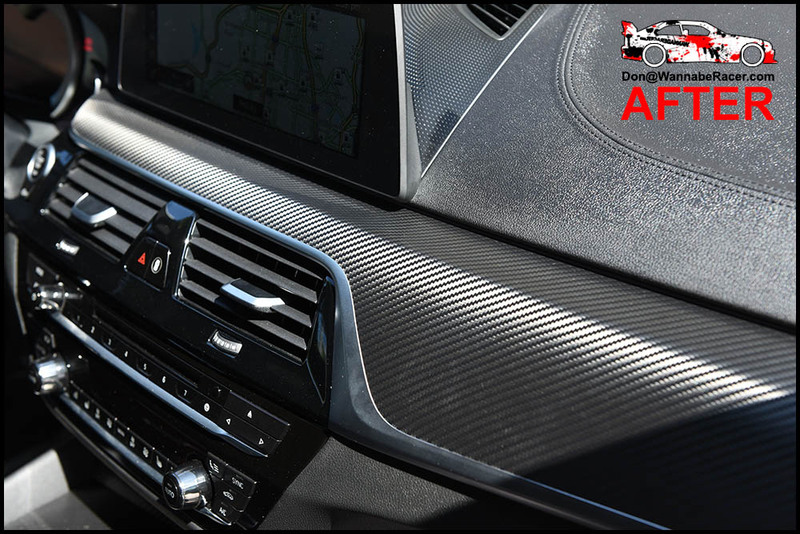 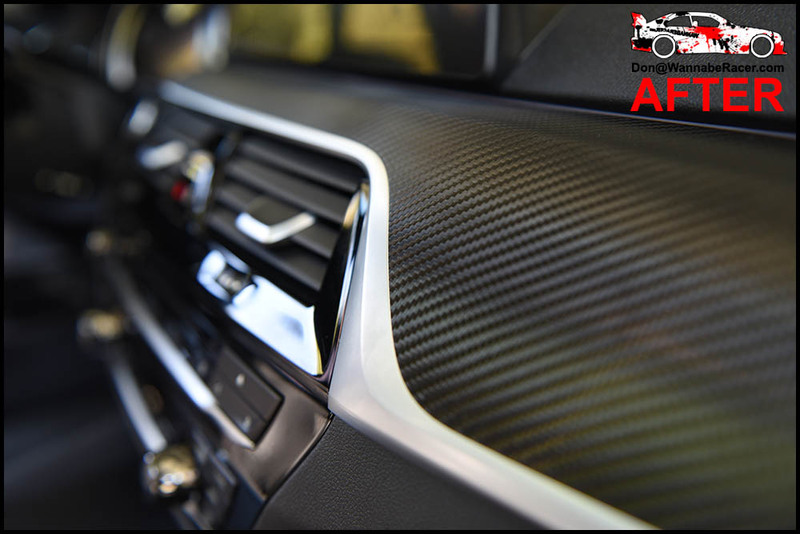 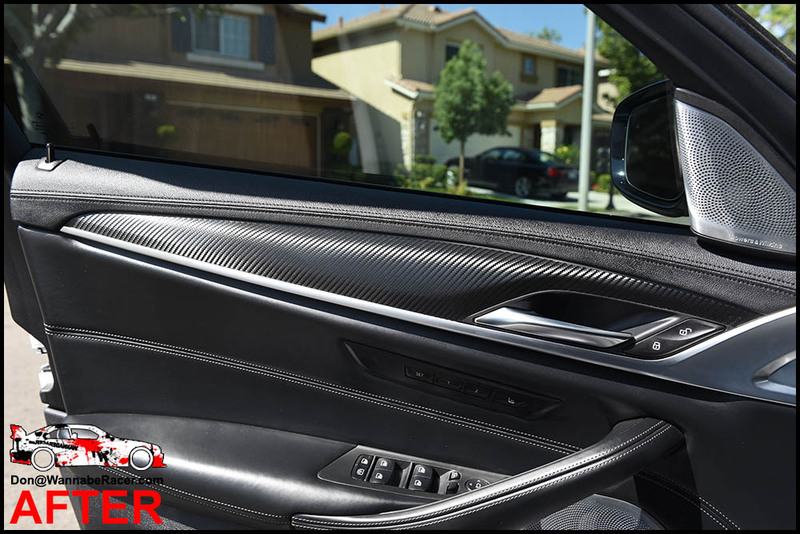 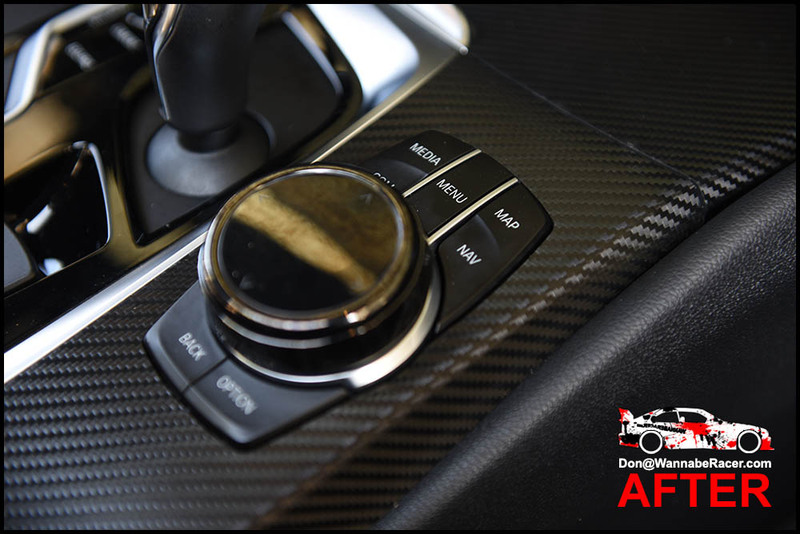 To give the car a more aggressive look, we went with the black carbon fiber on the interior. 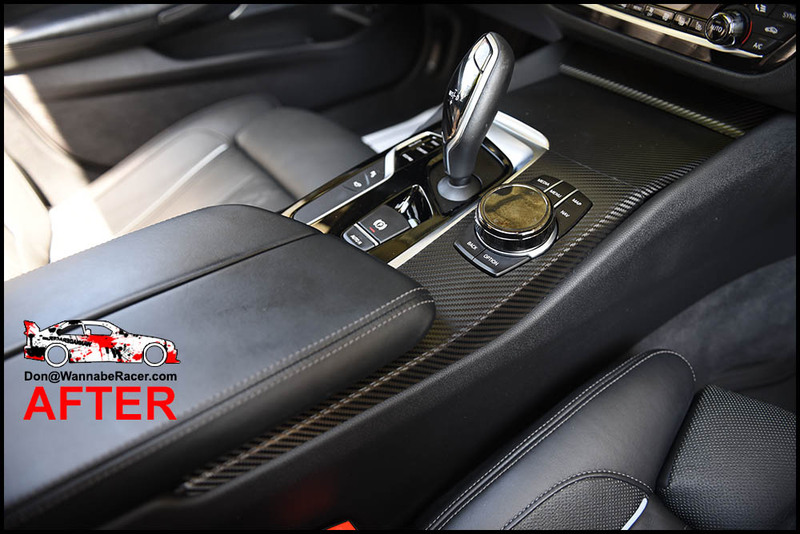 The carbon fiber on the interior nicely tied in with the carbon fiber accents that were already on the exterior of the car. 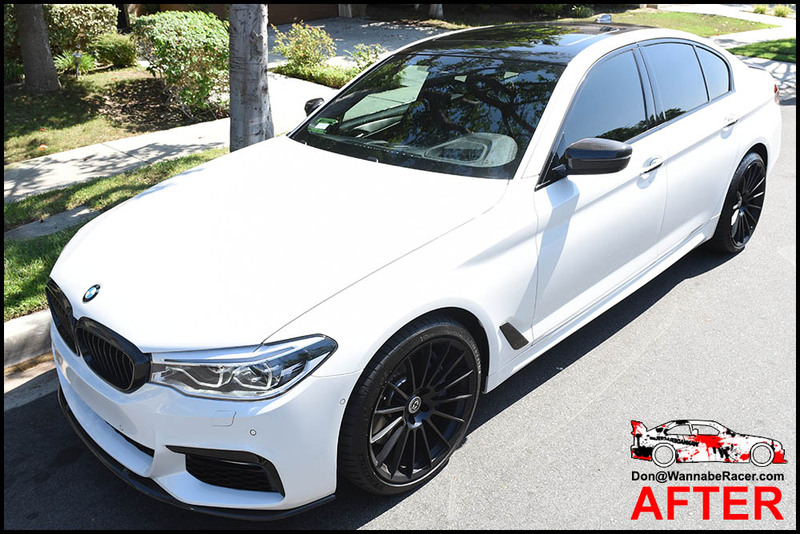 The owner of this car was in Irvine Orange County and I went out to him to do all of the wrap work on his car.